Did you know that mattresses should be replaced every eight years? Did you know why that is the case? Studies show that a mattress will double their weight every 10 years, due to dust mites, dead skin, and other present particulates. The only problem is that mattresses are hard to move, require two people, and most city-sponsored trash removal companies will not take them. How do you remove your mattress once you decide to buy a new one? Kelley Klean is a full-service restoration company also specializes in mattress removal and furniture removal. Servicing the Columbia, Jefferson City, and Central Missouri areas, we are the proud contractor of choice in the Mid-Missouri area. When you pick up the phone to call Kelley Klean to remove your mattress, you will be greeted by one of our friendly dispatchers and will receive a quick and competitive estimate over the phone. If you are interested in learning more about our mattress removal services or would like a competitive estimate, give us a call at 573-214-0990. When you pick up the phone to call Kelley Klean to remove your old mattress, we will provide you an easy and seamless process to dispose of it responsibly. Regardless of your location, our team can collect, remove and dispose of any mattress present in your home. The first step is to give us a call and set up a time for one of our trained professionals to visit your home. 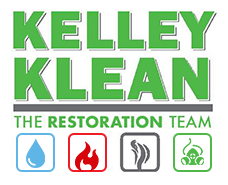 When you place a call to Kelley Klean, you will be greeted by one of our friendly employees. Simply share the types of mattresses you need to be removed, and our staff can prepare you an estimate over the phone. In our business, we understand that you could be seeking several competitive quotes. That is why Kelley Klean will prepare an accurate, competitive quote for you on the spot. We know that you need to make a final decision on who you are going to use, so we make sure to give you our information as quickly as possible. If you wish to set up an appointment at that time, we will get your address on the books and send out a team to remove your unwanted furniture with ease. When your appointment time arrives, we will send out a team of at least two guys to swiftly remove your old, outdated mattress. Equipped with the proper trucks and equipment, our guys will be in and out in no time. Our staff is trained to properly remove your mattress no matter where it is located on your property. We will avoid bumping into walls, and ensure that the surroundings are protected as we remove your unwanted mattress. In addition to residential mattress removal, we also can support the removal of mattresses from hotels, assisted living communities and hospitals. These communities require a higher quality of mattress and must change-out mattresses on a continuous basis. However, at Kelley Klean, we have found that the volume of mattresses that need to be disposed of can cause conflicts when these communities try to dispose of them on their own. Kelley Klean has the expertise required to remove mattresses from residential, hotel communities, hospitals or assisted living centers. If you have a mattress, we can remove it! Plain and simple. It can be difficult to remove an old worn-out mattress from your home. Most likely, you cannot leave it on the curb for trash pickup, or you do not have a large enough vehicle to haul it to the dumpster. In addition, you may not even have the proper manpower to remove the mattress you are trying to toss. If you have a mattress that needs to be removed but do not know how you are doing to do so, give Kelley Klean a call. Established in 1986, we understand the sense of urgency required to arrive on-time and remove that dirty old mattress for good. As the contractor of choice in Mid-Missouri, we service the Columbia, Jefferson City, and Central Missouri areas. If you would like to reach us directly, our office staff is on-hand to answer any questions or to provide you a quick and accurate estimate. Give us a call at 573-214-0990 to talk about your mattress removal needs!